Before you begin working your way to foreign language fluency, it helps to understand the culture behind the language you’re learning. After all, language exists to help a group of people express their ideas and beliefs. Italy is an old country with a rich history and culture. As you begin your Italian language program, gaining a strong grasp on this history, the values, and the etiquette will help you rapidly achieve success. 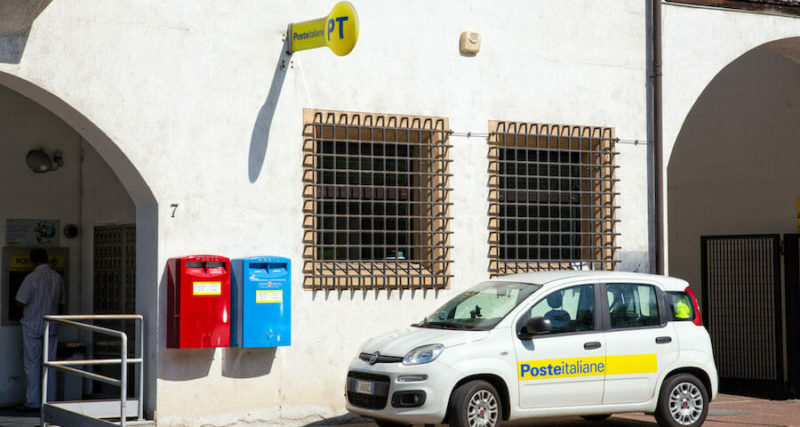 In particular, the Italian postal service works throughout the country to help make sure you the mail you send reaches its destination anywhere in the country. If you are traveling to Italy for a long period of time, you are going to want to have some idea of how the mail system works. Unfortunately, the answer to “how does the mail system work” is usually “pretty poorly.” When talking about the government mostly owned and operated mail delivery service, PT, you are talking about a service that isn’t at all reliable. For this reason, most Italians will use either registered post, or a private delivery service similar to what we see in the US in UPS or Fedex. Interestingly enough, the only really reliable somewhat government-run mail system is the one run by the Vatican. This particular mail system is run through Sweden, thanks to the Swiss Guard that operates inside the Vatican. If you cannot get access to this service, you can still get access to the private services in most of the major cities. Italy, like the United States has several levels of mail priority. For each priority, you are going to have to pay a bit more. For just the average level of mail service, it’s usually quite a bit slower than what you are going to see in the United States. Letters and postcards are known to take a couple of days inside Italy and anywhere from just four to over 10 days outside the country and in the rest of Europe. When you are sending mail over to the US, you should expect it to take at least a week. If you absolutely, positively have to send a letter or package while you are in Italy, it’s extremely important that you do it the right way. Of course, stamps are going to be important, and these can be bought at a place called“tabaccheria.” These places will be marked with a black T sign to help you find them. The biggest problem with buying these stamps is that they don’t come in books, but rather are always singletons. When you go to a post office in Italy, you are going to want to be very careful that you know what you are doing there so that you can minimize the time you are there. These places are usually pretty busy and they have different lines for different services. Should you end up in the wrong line, you are out of luck. Not only do these places send and receive mail, but they work in faxes, telex, TV licenses, the road tax, and lottery tickets, among other services. As it is in the United States, the best way to makes sure that your mail is going to find its destination is by making sure you have the right “codice postale” (postal code). The postal code in Italy is a five-digit code, much like the zip code used in the US. The issue here is that the postal service is so poor that putting the wrong postal code on the piece of mail means you probably won’t see that piece of mail again. Whenever you are dealing with these services you need to be careful. What Is Germany’s Attitude Towards Religion?